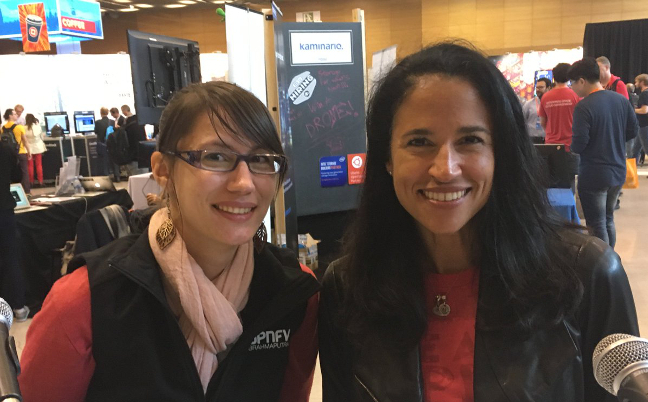 In today’s episode of The New Stack Makers podcast, we hear from two of the women helping companies to succeed in increasing their diversity, HPE Developer Advocate and Community Architect Lisa-Marie Namphy and OpenStack Ecosystem Technical Lead Ildiko Vancsa. Vancsa and Namphy joined TNS founder Alex Williams at OpenStack Summit Barcelona to explore how the challenge of creating more diverse and open communities. While diversity within the industry is still at a low point, the OpenStack community has seen growth over the years. Bitergia’s Daniel Izquierdo reported that women represented only 10.5 percent of the OpenStack population in 2011, though 2015 saw a slight increase up to 11. HP Helion, a portfolio of cloud products and solutions, makes it easier to build, manage and consume a hybrid IT environment. Based on OpenStack and Cloud Foundry technologies, HP Helion combines the benefits and agility of cloud computing with the rapid innovation and interoperability of open source. At a foundational level, OpenStack focuses on mentoring and community building as its pillars to success in the hopes of fostering diversity in the community. “We are supporting the Women of OpenStack group, and also travel and mentoring programs. We’re trying to focus more on to opening the door and giving support to women who would like to join, and those women who are working on making this environment more pleasant for women. Within the last two days we had women on stage for almost all technical demonstrations this time, which is pretty amazing,” said Vancsa. Feature image: (left to right) Ildiko Vancsa, Lisa-Marie Namphy.